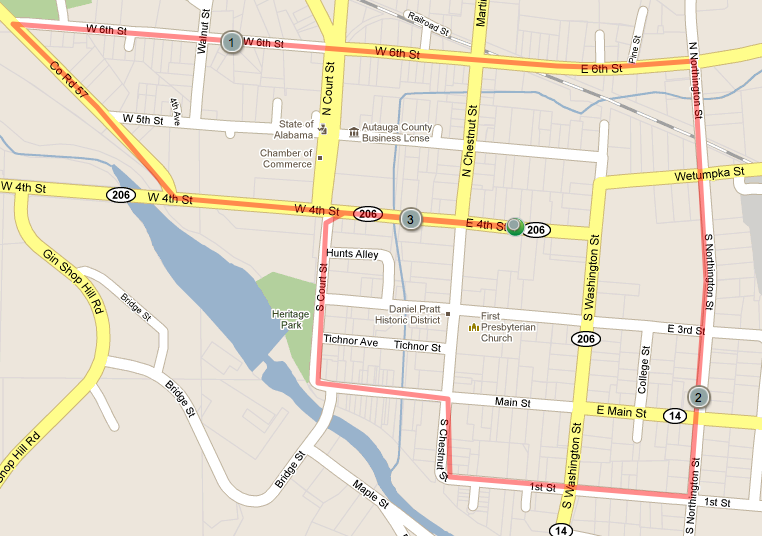 First United Methodist Church and the Resurrection Run course is located at 100 E. 4th Street in historic downtown Prattville, Alabama. Below are the updated routes for the 2018 Resurrection Run. Read through and choose the one that suits you. The 15K is not for the faint of heart but is indeed a challenge for those who want to push themselves. As you run you will see part of the 5K route but the real challenge is that you will face Gin Shop Hill Road not once but TWICE. 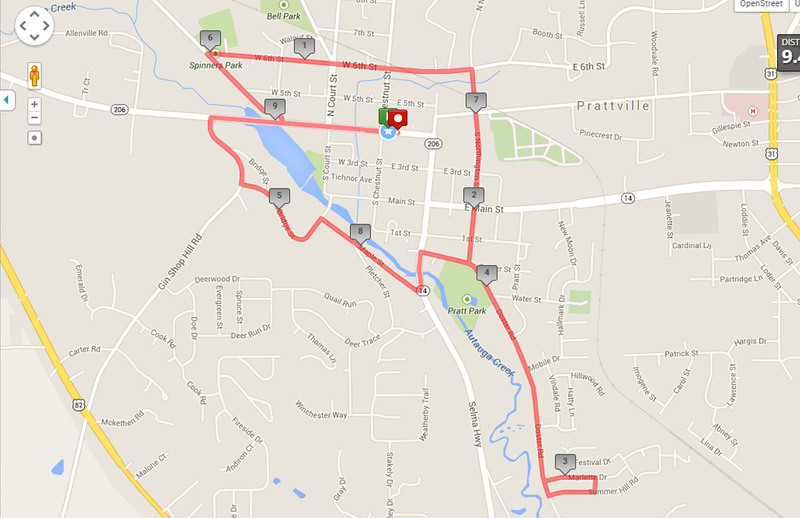 The 5k will be through the heart of downtown Prattville and mostly flat. 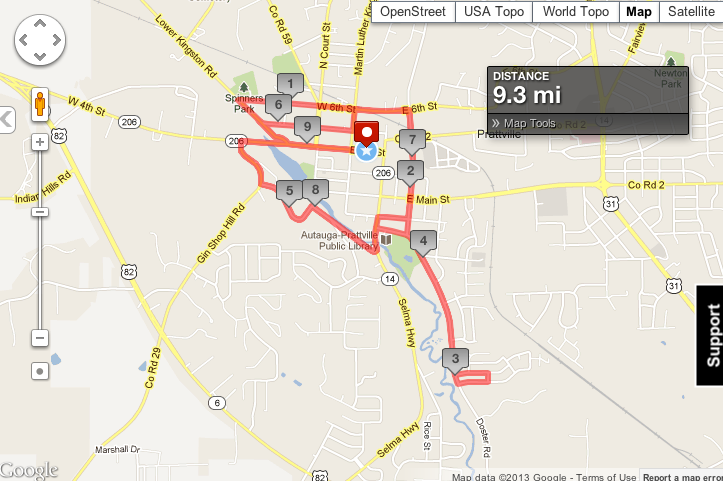 This is a great route for first timers and seasoned veterans alike. Enjoy the scenery and see if you can beat your best time.